Margaret was a dream to work with. She listened to what we wanted captured, and made sure to do just that on our wedding day. She was always available to chat (and continues to be), and was always so professional but personable. She really cared about capturing the day for us, and it shows in the pictures. We couldn't be happier with what we have left of our wedding, which is a huge stack of memories captured on film. Thanks again! Margaret was an absolute dream to work with and she deserves all the praise in the world for capturing our special day in such a wonderful way, we couldn't be happier with all of our photos. Hiring Margaret Austin Photography will be the best wedding planning decision you will make! 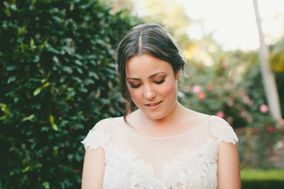 I worked with Margaret of Margaret Austin Photography at my wedding in May and she was absolutely amazing! My husband and I opted for a 'First Look' before our ceremony because we wanted to have a uniquely personal moment together without all eyes on us. Naturally I was very nervous to see my soon-to-be husband and I was anxious about someone taking photos of that intimate exchange between us; I was worried that it wouldn't feel natural and comfortable and that would be obvious in the photos. Fortunately for me, Margaret eased my worries immediately with her professionalism and kind nature; she assured me that how I felt was normal and that if I just focused on the man I was about to marry everything would be perfect. She was right. When I received the finished photos of our 'First Look' I was blown away with how beautiful they turned out and I was overcome with emotion and the memories of that day. Margaret truly captured the emotions and the love of that moment for us and I never realized how much that would mean to me until the day was done. Working with Margaret was an absolute joy for us; she far exceeded our expectations both on our wedding day and with the quality of her work. If you are looking for a photographer who is both professional and personal, I highly recommend working with Margaret Austin Photography. Working with her was one of the best wedding planning decisions I made and I thank her tremendously for the work that she did and for making it possible for us to remember that day always. We LOVED working with Margaret! I get super uncomfortable in "staged" photos, but Margaret helped us feel calm and natural and not like we had a camera focused on us for pics of our special day. We were married in Yosemite and she not only captured our wedding beautifully but the surrounding landscape as well (which is a large part of the reason we got married there!) We ended up with amazing photos of our ceremony, reception, and incredibly special shots of the two of us that we'll cherish for a lifetime. I would highly recommend Margaret Austin Photography for your wedding photos.